Hey readers, remember a few months back when I wrote a post about the shocking new vampire book and the author that was not only signing the book in her blood but also printing some copies of the book in real human blood? Well, here laying next to me is my copy of Silentheart by Roberta Hoffer, blood-signed by the author herself. Iâve just finished the book and am overall I’m not too disappointed by Hofferâs first novel. The story itself follows recently divorced Sarah Abbott and her newfound freedom and with it, a new life. A new life that involves not only the discovery that vampires exist, but that she has vampires in her very own family.Â Through her vampire family she meets and falls madly in love with the vampire Carter. But as the old stories go vampire and human relationships are never easy, and itâs no different with Carter and Sarah. Their love brings new life and happiness but also jealously and betrayal. Roberta Hoffer does a good job portraying the deep emotions of each character, from the wicked villains to the sweet lovebirds. Silentheart is a novel about family, rebirth, and the quest and battle for true undying love. With any book this one has its good and itâs bad. Iâll admit that the book starts off slow and is a bit redundant; it could have used some extra editing on that front. The constant errors throughout the novel don’t help.Â But after a few chapters it does pick up pace and keeps you interested, though there were many moments that, once again, could use an editor and research. I must also add that while this book is appropriate for any age, I think itâs one that would be best enjoyed by adults. 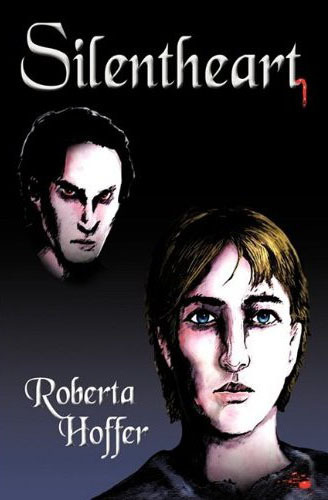 A young teen may find the divorcee story difficult to relate to and may not care for the very formal speech that is used throughout the entire book, by ancient vampires and young humans.